Fred Rogers has left an indelible impression in most of our hearts, due to the simple kindness and happiness he showed every day on Mister Rogers' Neighborhood for 30 years. 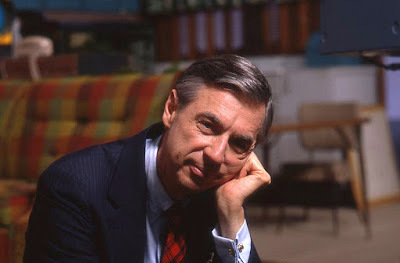 At Sundance this year there was one documentary that I heard about more than others and it was Won't You Be My Neighbor?, which takes a look at the life and legacy of the nicest guy on all of our blocks. Directed by Oscar-winning director Morgan Neville (20 Feet from Stardom), the film takes an intimate look at the man who would become America's favorite neighbor. Mister Rogers' Neighborhood debuted in 1963 and right away it was clear this was a show that would go against the grain of other education programs. One of the things I was most happy to learn about the film is that it shows Rogers to be the genuine article, not some guy with a hidden dark side that needs to be exposed. Won't You Be My Neighbor? opens June 8th. Check out the trailer below, released today on what would have been his 90th birthday.